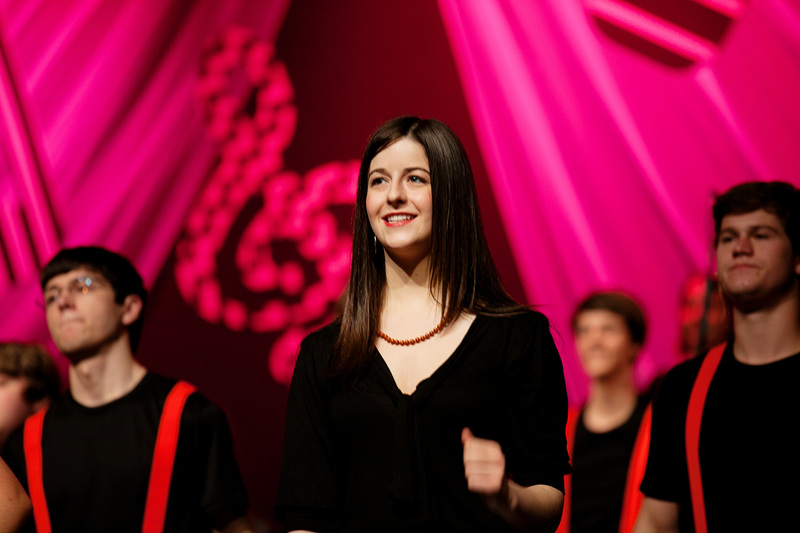 Marisa Mariencheck and Meredith Maroney have been selected as members of the 2013 NAfME All-National Honor Mixed Chorus sponsored by the National Association for Music Education (NAfME). Marisa and Meredith will join more than 670 of the most musically talented and skilled high school students in the United States to perform at a gala concert on October 30, 2013 in Nashville, Tennessee. Marisa and Meredith are leading sopranos with the USJ Concert Choir under USJ Choral Director Dian Eddleman. They have both been selected to the Northwest Regional Honor Choirs and Tennessee All State Choirs. Director Dian Eddleman is also State President of the Tennessee Music Education Association. She’s a big deal, too! These exceptional students will prepare remarkably challenging music that they will perform under the baton of four of the most prominent conductors in the United States. The 2013 NAfME All-National Honors Ensembles will perform for an audience of thousands on Wednesday, October 30, 2013, in the Presidential Ballroom of the Gaylord Opryland Hotel, in Nashville, TN. For program and ticket information please visit NAfME.